The AS-15 is a Hot Shoe to PC sync cord adapter. 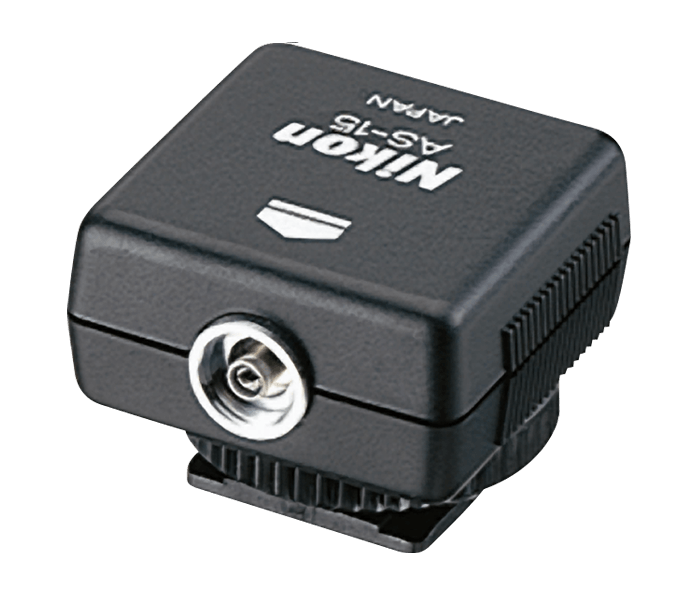 It is designed for use with Nikon cameras that have a standard ISO accessory shoe but do not have a sync terminal. The AS-15 sits on the camera's hot shoe and features a sync terminal. To use with large studio strobes, the sync cord from the strobes is plugged into the AS-15.